Excellent all around Muck Bucket. Large, 70 quart, capacity with extra heavy wall construction. This handy Muck Bucket is ideal for both stable and household use. Blue, Green or Black. 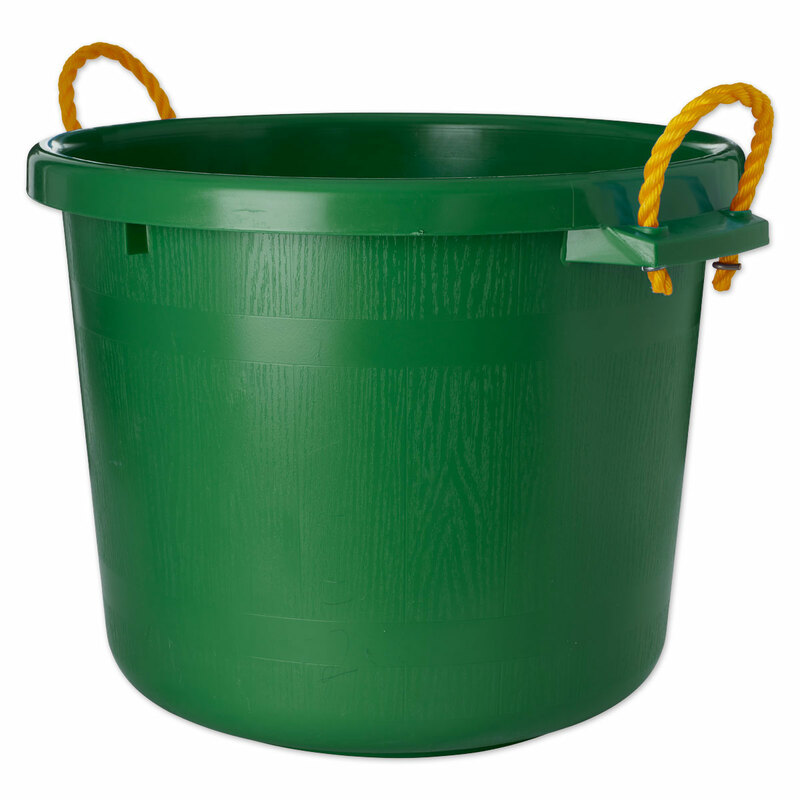 Fortiflex Muck Bucket is rated 4.9 out of 5 by 20. Rated 5 out of 5 by Debi from Best one I've used Great, long lasting muck bucket that can take years of abuse! When we first get them we use a grinder to take off the ridge on the bottom so they will slide across the ground.We tie a long rope with a four inch long piece of pvc as a handle to drag the buckets to the dumpster. Rated 5 out of 5 by Carol from Sturdy and colorful and quick delivery, good price - not used for horses, but to gather supplies in a church. Rated 5 out of 5 by Julesy815 from Sturdy... and neon. You will NOT lose this. The pink bucket is BRIGHT, and super sturdy. I see this lasting a long time. Fast shipping as always. Thanks Smartpak! Rated 5 out of 5 by Sassafras from I use it to pick out stalls or clean up the arena. 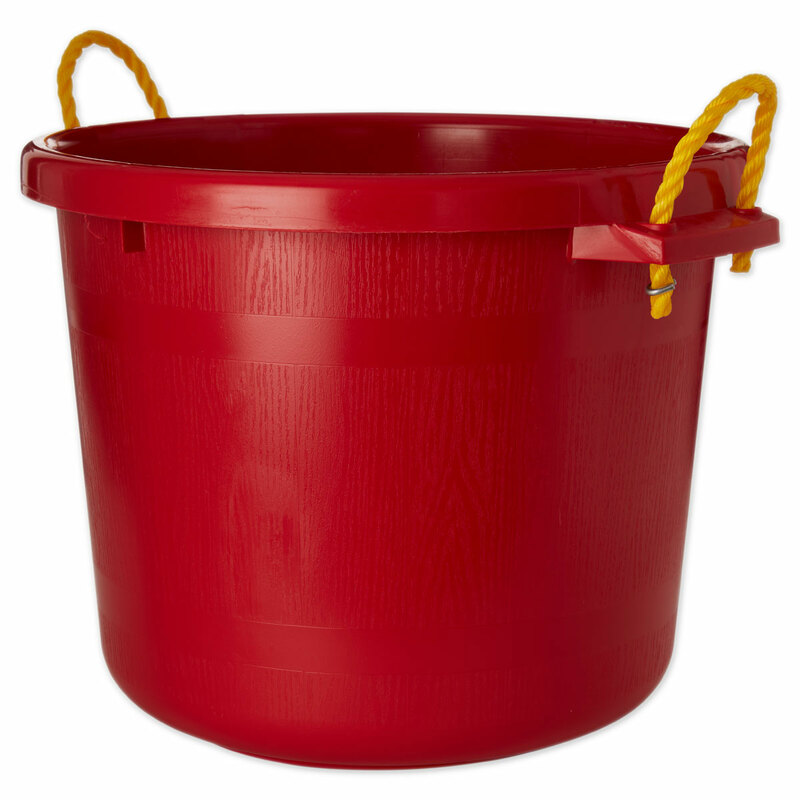 I love this bucket! I use it to pick the stalls and clean up the arena when I don’t want to start up the tractor. Super durable! I dump it out of the tractor bucket and never worry about it breaking. Rated 3 out of 5 by Pat409 from Poor design I purchased a couple of buckets last month. 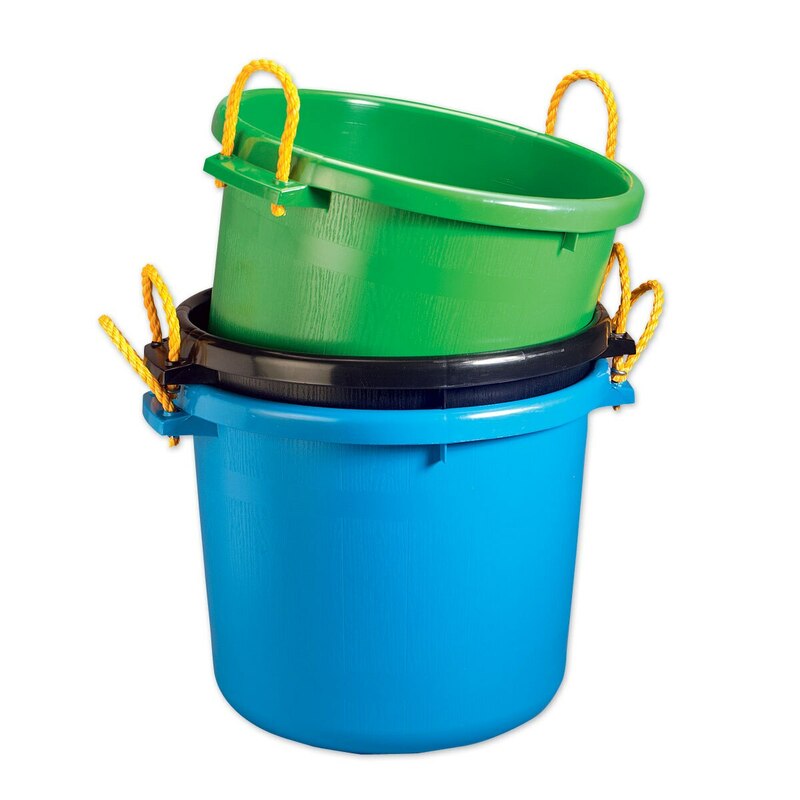 The buckets have a ridge on the bottom which makes it very difficult/impossible to pull around. They are ok for someone with a muck cart. They are sitting in the barn NOT IN USE! The quality has deteriorated. Rated 5 out of 5 by rimrocksmom from Very long lasting I have had one of these for about 4 years. I was feeding an older horse in it twice a day. The other brands I have used broke and cracked withing several months. these last though. Rated 5 out of 5 by Jane Elizabeth from Very sturdy, and so well made. Perfect size. This is perfect for use at the barn and in the garden, so I will order a 2nd. one. It also looks very nice too. A perfect size for taking to a show.